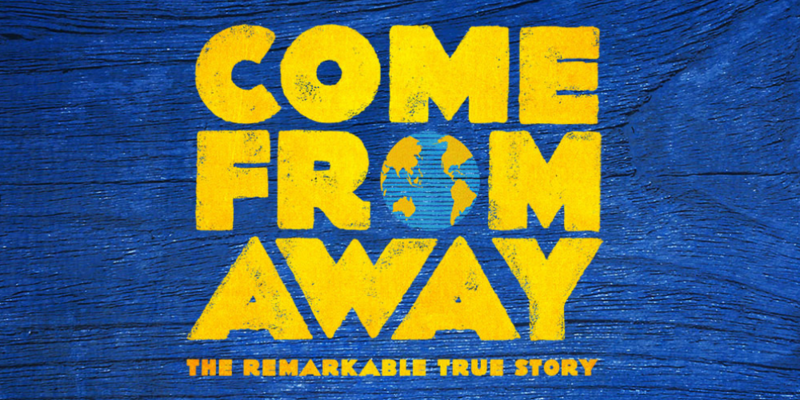 The Tony® Award winning Broadway musical COME FROM AWAY tells the remarkable true story of thousands of stranded passengers and the small town in Newfoundland, Canada that welcomed them. Cultures clashed and nerves ran high, but uneasiness turned into trust, music soared into the night, gratitude grew into enduring friendships. Don’t miss this breathtaking new musical written by Tony and Grammy nominees Irene Sankoff and David Hein, and helmed by Tony® winning Best Director, Christopher Ashley with musical staging by Tony® nominee Kelly Devine. "★★★★★ Irresistible and inspiring. It's a musical that gets everything right"
"It takes you to a place you never want to leave!" "★★★★★ A gently miraculous masterpiece"
"An affecting, stirring and unpretentious new musical"
"★★★★★ Just go and see Come From Away! Five Stars just doesn't seem enough"
"The score has an infectious vitality. My heart leaped several times"
"A gale of good will blows out of this smart, robust musical"
"We couldn’t be happier that Australian audiences get to experience this ground-breaking Broadway musical"